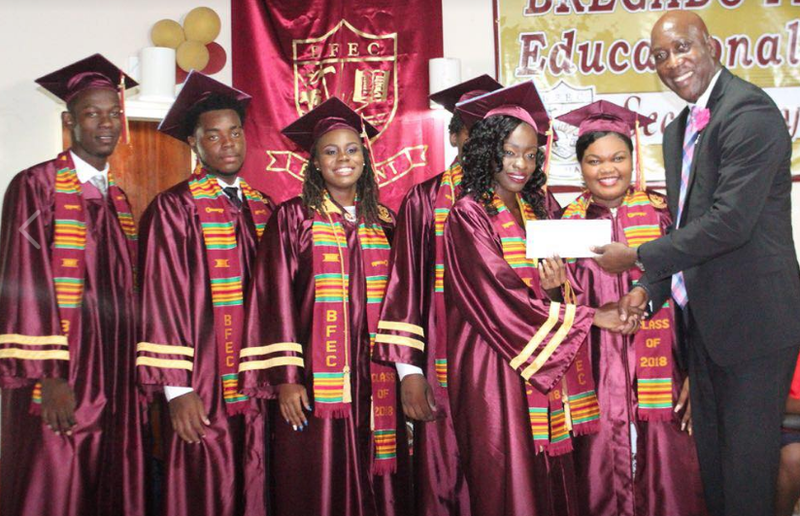 Though having a relatively small graduating class this year, Bregado Flax Educational Centre (BFEC) has produced 20 percent of the students who make up the top-performing public secondary school graduates across the territory. The educational facility graduated 27 students this year and four were listed among the top-20 Grade 12 students across the BVI. Those four BFEC graduates are class valedictorian Jackisha Rigbert, salutatorian Mariah Christian, Latoya Alexander, and Zhoriarna George. Rigbert was the fourth best-performing public school student with grade point average (GPA) of 4.0. Christian and Alexander both had GPAs of 3.7 and placed 11th and 13th, respectively. Their schoolmate George was the final student to make list; coming in at 20th place with a GPA of 3.3. BFEC Principal, Hilroy George said he is particularly impressed with the top performing quartet who produced exceptional grades despite the post-hurricane circumstances they experienced throughout the academic year. “We are not comfortable but we were still able to produce. It tells me that the decision that the minister and the ministry made to open school at the time that they did had been justified,” Principal George said. “They (our students) got their act together, they focused, and they came out with such high grades. That made their success even so much more valuable. To overcome all these obstacles and still have these kinds of grades is very touching for me as a principle,” he said. Education Minister described the quartet’s performance as another great story of success. The top-20 students in the territory comprise 15 Elmore Stout High School students, four BFEC students, and one student from Claudia Creque Educational Centre — Rondel Smith, who placed sixth overall. Good to know. Congrats to students also to the teachers. Looking Gooood B.F.E.C. Loookingg Gooooodd! Don’t get too carried away. Real education, in the real world, is on a completely different level. Most of the BVI’s brightest and most capable fail to reach the same heights once they go abroad to a real college. And just taking a look at the literacy levels within houses of assembly it is painfully obvious that the education system on island is shockingly poor. Government and parents have failed the youth. Hope you up to par. Shop hating and encourage. Find something good to do. Go pray. Negativity breeds negativity…just commend them for their hard work and keep it moving Buck!! Higher education environments can be very stressful,and then add to that the remnants of a catastrophic hurricane, no proper teaching facilities and months later these kids still manage to achieve such high level results…I think they need a greater commendation for even turning up each day alongside their diplomas. Keep reaching for the stars kids..it only gets better from here!! Awesome! Now they can get a job at a resort serving tourists like the students that did nothing lol. 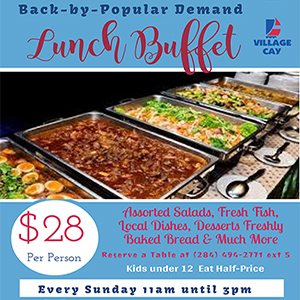 Oh BVI…..